A Wilkinsburg woman is accused of starving three children that had been in her care for seven months, according to Allegheny County police. Jennifer Stout, 35, was jailed Saturday on charges of aggravated assault, child endangerment and reckless endangerment. Authorities said in a criminal complaint that the three children  two girls, ages 12 and 9, and a 2-year-old boy  were taken toChildrens Hospital of Pittsburgh on Thursday by their aunt. Family members told police that the childrens mother left them with Stout during the summer, according to the complaint. The aunt reported deplorable conditions at Stouts Hunter Street home and she immediately took the children to the hospital because they were in bad shape. Doctors told police that the 12-year-old girl had lost 19 pounds since September and the 9-year-old girl had lost 14 pounds since July. The toddler weighed 19 pounds. Authorities said he had weighed 27 pounds in September, according to the affidavit. The boy had what appeared to be ligature marks on his wrists and ankles, bruises all over his body and hair loss related to starvation, police said. Authorities say Stout denied intentionally starving the children, and said she should have taken the boy to get medical attention. She is being held in the Allegheny County Jail on $25,000 bail. Jennifer Stout? That name is too Dickensian even for Dickens. Besides, even the schoolmasters in Nicholas Nickleby who starved the students were all too willing to feed their own kid. The kids should be grateful. At least she didn’t eat them. Looks like she ate everything else. Defense attorney will likely argue lack of mental capacity. She appears to provide the basis for that. The story needs to include more info on Mom. Is she on a seasonal vacation? No. Manual labor, and a starvation diet until she turns into a stick figure. Then continue for at least 5 years. Are they sure it’s not Jennifer Sprat? Mom left them with Stout (not necessarily moms sister), and the childrens aunt picked them up months later. I dont think all three women are related  could be, though. Wait, a woman leaves her children for seven months and never checks on them? 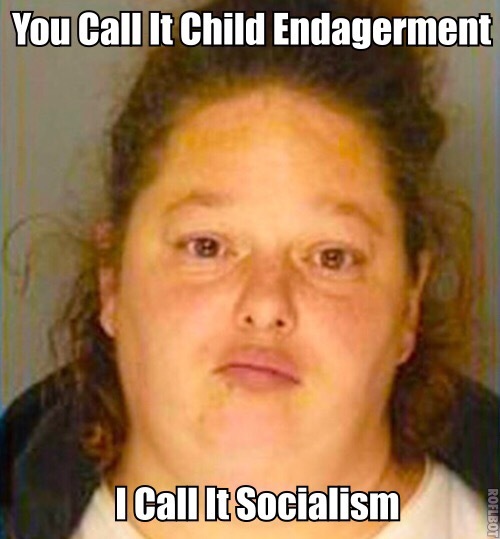 As long as the welfare check keeps coming in they dont need the kids. They are lucky she did not eat them. Yes, I picked that up. Where’s the mom? There’s something unsaid. the end times can't be far off.. There are lots of poor excuses for mothers these days. My wife has worked as a waitress at TGI Fridays and Applebees and she says that most of the servers smoke marijuana and many smoke it on breaks while at work. One waitress that gave birth just two weeks earlier smoked weed right after going off clock and came back in the restaurant smelling to high heaven. When my wife asked her why she wasn’t going home to her new baby, she said she can’t now because her mother taking care of the baby would not approve of her condition. The dopehead waitress was White BTW. But it amazes me that marijuana has become so ingrained into Black culture and it is very pervasive. Hey now! Are you trying to pick a fight with me? With a last name like that, perhaps her defense will be that she did not want her children to suffer her baked-in (so to speak) genetic fate.